I had a pretty easy week back in Girona after our mega volume adventure camp. Jamie and I got some good time together, and I felt like I settled back into life in Girona complete with some enjoyable sunny, crisp, cool winter days. Jamie and I celebrating our day-apart birthdays at camp! Then I headed off to another team camp. At first, it was just a couple of my teammates near Sierra Nevada that equaled a week of good climbing. We followed that up with one full-team media day where every rider except for a couple were present. With so much of the team in Australia in December and January, it wasn't until now that we knocked out items like team pics and a few other logistical prep tasks. I guess I’ll have a better indication of exactly where my form is soon! I think it is ok, but honestly, I think I am a little behind in terms of race form compared to previous years. We’ve really focused on laying a solid foundation and not coming up too quickly. Typically, I feel quite strong at the first races and then it becomes a bit of a "hang on" issue. This year we are approaching it with more of a slow steady build up. 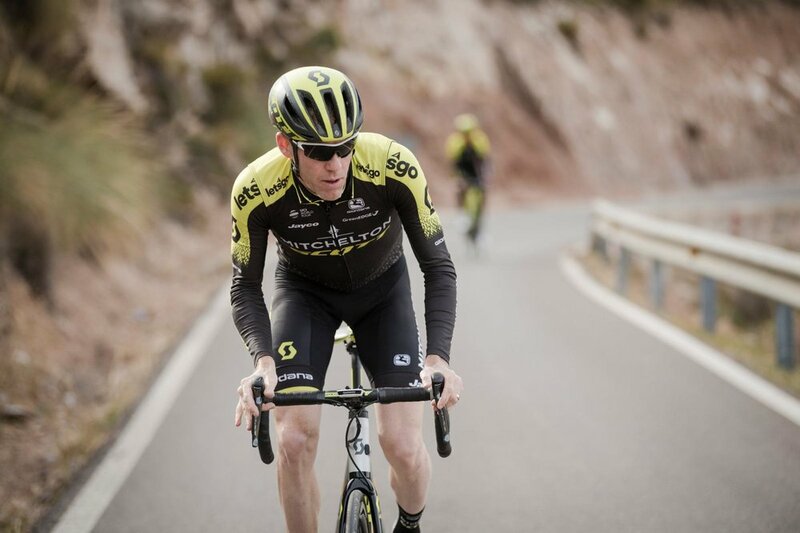 I definitely have not been able to spend as much time on the TT bike as I normally would at this point, so hoping I can enlist some muscle memory for that first stage (team time trial) at the UAE Tour, which will be super fast! Even after all these years, I still find myself getting excited to get back racing. What I look forward to most is working together with the team and finding those flow moments in the races where I’m pushing, testing and getting the most out of myself. The transition is still happening in terms of new bikes, equipment, staff, teammates and learning the inner workings of the system. It feels quite comfortable, but there are still plenty of invigorating challenges. I'm looking forward to racing as it will be a bit liberating from the thinking, planning, working and focusing on the transition to the new squad—basically where all the focus has been these past few months. Super stacked field here! Whether it is sprinters, TT’ers or world-class climbers and GC riders, the field here is definitely the most comprehensive of any Middle East races I've done. I think it was a good idea to combine Dubai Tour and Abu Dhabi Tour and make the race a full week because it is a long trip to get here. Now they can include the best portions of both races. I don't have any particular motivations other than finding some rhythm with my body and with the new guys. I will look to contribute to the team’s success whenever and however I can.